This summer has been very, very busy! With the kids home for the summer, sharing recipes on the blog and a lot of freelance work as well, I haven’t had the time to post new recipes as frequently as usual. But I promise, I’ll get back to normal soon! 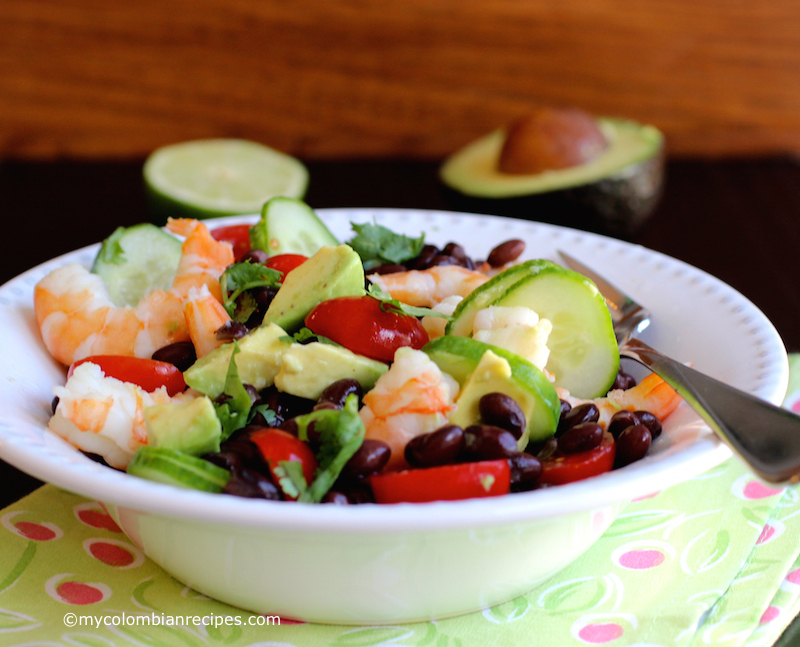 So, now lets talk about this Shrimp, Avocado and Black Bean Salad. I am trying to incorporate healthy meals to my diet lately. A couple of weeks ago I made this salad and it was absolutely delicious. Plus, it’s simple and quick, requiring just 15 minutes to make, plus it’s entirely customizable. 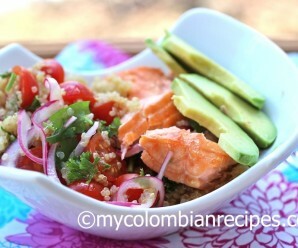 If you’re looking for a simple and healthy lunch dish, this might be the one for you! Split the lettuce between 4 salad bowls or plates. 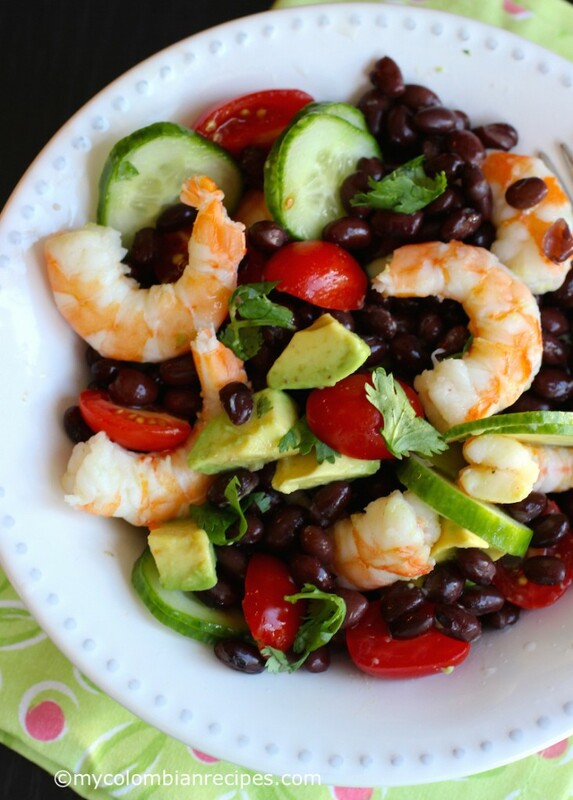 Equally divide the shrimp, cucumber, avocado, tomatoes and black beans over the lettuce. Alternatively, you can do this in one large salad bowl. 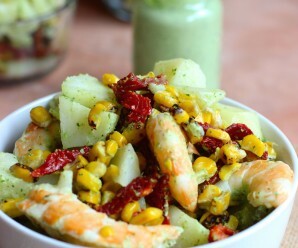 To make the dressing, place the fresh cilantro, lime juice, white vinegar, ground cumin, salt and pepper in a small bowl. 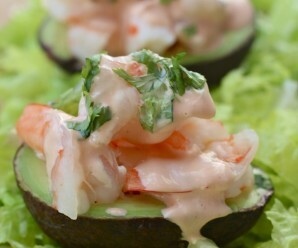 Mix well to combine and drizzle over the salad and serve. Good Morning Erica, from Spain. It is interesting how the names of things vary from country to country. In England, we would tend to call those ‘prawns’. For us, shrimps are just that – shrimps – small. In Spain, they have a wonderful range of names – gambas, langostinos, camarones. 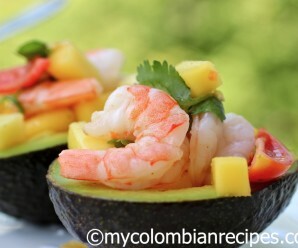 Today is my birthday so I’m getting one of my favourites for lunch – fried prawns and yucca. We will be going for the low fat option by cooking them in the halogen oven . black beans are the bomb diggity! 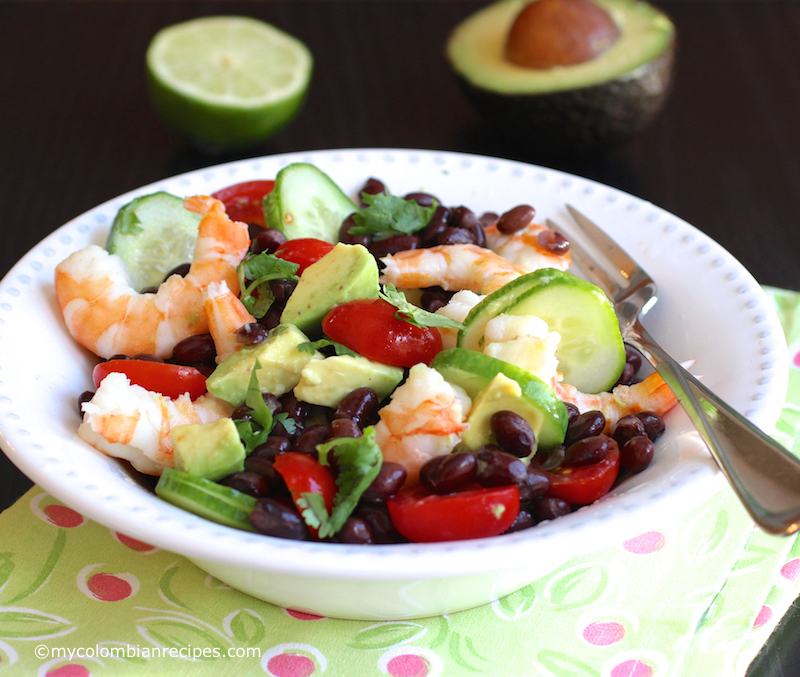 delicious, colorful, and fun dish, erica!